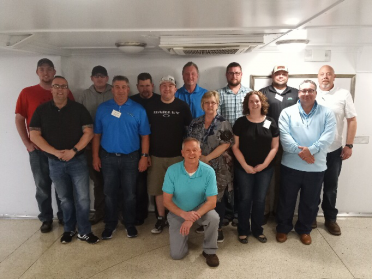 This past week, students from across the country traveled to Wilmington, NC to complete a challenging and exciting HAZWOPER 40-Hour Train-the-Trainer course. The state-of-the-art course covers, in detail, the regulatory and training requirements of the Hazardous Waste Operation and Emergency Response Standard and provides an interactive practical exercise that is both fun and educational. NASP congratulates each of our students on their successful graduation! In particular, we would like to include a special shout-out to Kellie Chenault who made a 100% on her final exam; only the second student to do so in NASP’s history. Great job, Kellie. Did you happen to miss out on this latest class? Click here to register for our November training session.